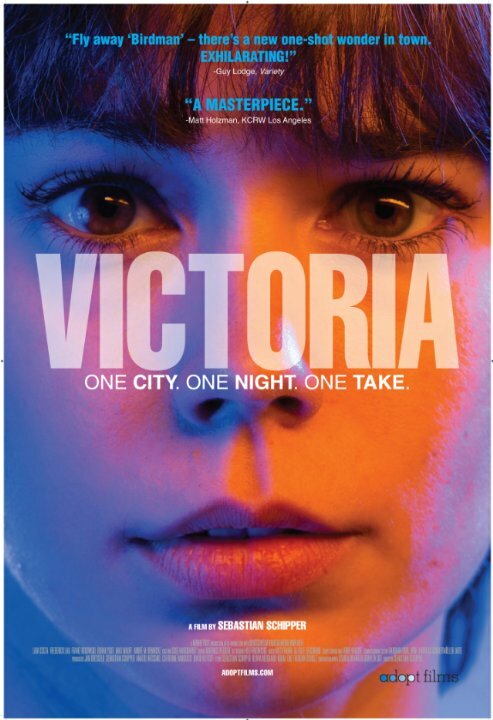 It would be impossible to discuss Victoria without talking about the general conceit behind the film, which is that it was all filmed in one continuous single take, with director Sebastian Schipper never stopping the camera once throughout the overnight shoot. The film opens in a throbbing nightclub, where Victoria (Laia Costa) meets the charismatic Sonne (Frederick Lau) and his gang, and becomes inadvertently involved in their plans, which escalate towards a violent bank robbery. The actual robbery only takes up a relatively small part of the narrative, and the film is a bit slow moving at times, with some of the scenes going on a little longer than they probably needed to, especially before the action really kicks in after about an hour. But the nature of the project would have made it hard to edit any scenes without ruining the continuous effect, and the experimental highs of Victoria make it easy to overlook any minor shortcomings. The great camerawork alone makes the film worth seeing, moving seamlessly between locations and scenarios, and authentically capturing that almost surrealistic feeling of staying up all night and reaching the crack of dawn. The single take approach heightens the feelings of both exhilaration and disorientation that permeate throughout the material and lengthy 138 minute running time, as the actors impressively shift from quiet moments to emotional breakdowns, with hardly any breathing room between them. This is an intriguing and excitingly original cinematic experiment, that deserves an audience because of it. Sorry dude but it doesn’t stack up & you lose all feeling for the characters. That conservatory must have treated her really bad & knocked any common sense out of her…poor thing ! For all the films merits it is ridiclously implausible & the critics generally have been blinded by the single take technique. It made it impossible to believe or empathise with any character. My friends who watched it with me felt exactly the same.